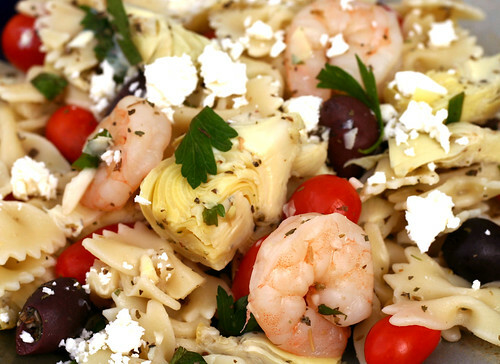 Shrimp, artichoke hearts, and feta. This is an amazing dish with an exotic flair that comes together in minutes! cook until desired doneness – about 7-8 minutes. sauté for 5 to 7 minutes or until shrimp is cooked through.